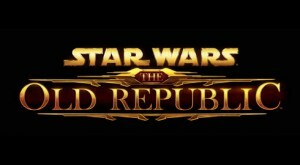 I wasn’t looking forward to Star Wars: The Old Republic (SWTOR) MMO after I’d seen a few videos, but then I was invited into the beta weekend twice and I liked it enough that I pre-ordered through Origin. You can’t really review an MMO since you would have to play all 8 classes through to the high levels and then play for a year or so before you even get an idea of the whole game. Instead I’ll just give a few points about the game as a whole, and probably add in some extra posts about individual classes as I play them. I was very gung-ho about SWTOR when I first got it, and I quickly made one each of the 8 classes. I have been playing the 4 imperial classes roughly concurrently. When I reach the end of a planet (planets are broken up by appropriate level) I switch to another character and play through the same planet. By doing this I know my way around the planet on the second play through, and don’t have to remind myself where everything is. This does have some negative consequences. First of all you grow to really dislike a planet by the 4th playthrough, and secondly you have to reacquaint yourself with how to play each class when you switch back to them or else you find yourself tanking a fight with your healer. Having played WoW I had always played DPS characters, and you can never get into a group, so I decided in SWTOR I would play two tanks and two healers. Luckily it doesn’t have the huge drawback that you normally find in MMOs like WoW. The main drawback about playing a tank in WoW is that you can soak up a lot of damage but when the fight is done, you need to get your health back up and it’s a slow process, conversely when playing a healer you can’t take hardly any damage during a fight but afterward you can heal yourself right up. Both classes have a lot of downtime in WoW, but in SWTOR they added companion characters which fight along side you. My tanks have a healer companion and my healers have tank companions so it’s like a rudimentary group always at hand. If you have a buddy to play with you would have a four person group at all times which means you can consume just about all of the content without strangers. Without a buddy you can take on anything the game throws at you except the group missions, for which you will need to look for a group. Luckily for me there isn’t a lot of those group missions and they can easily be skipped. I play SWTOR pretty much like a single player game, which would be ridiculous in most MMOs but since there is a complex story for each character it’s a lot more like playing a Star Wars version of Mass Effect to me than it is an MMO. A lot of people complain that it’s not different enough from WoW, but the parts where it is different are very significant to me, so I don’t really care that the combat is the same and the skills are nearly identical, because I didn’t have a problem with them in WoW. Now that I have been playing SWTOR for over 3 months I find that I desire to play it less and less, which for a game with the potential to steal your life away is probably a good thing. What is keeping me paying the monthly subscription right now is the story aspect, and I know the stories are designed to continue well past max level but we’ll see if I still want to keep playing all four or even any of them after I get some closure on the current story arcs.